Family brand Baldinini started to make bespoke shoes entirely by hand in 1910. The long traditions and experience is still seen in every pair. Details and construction are carefully thought. 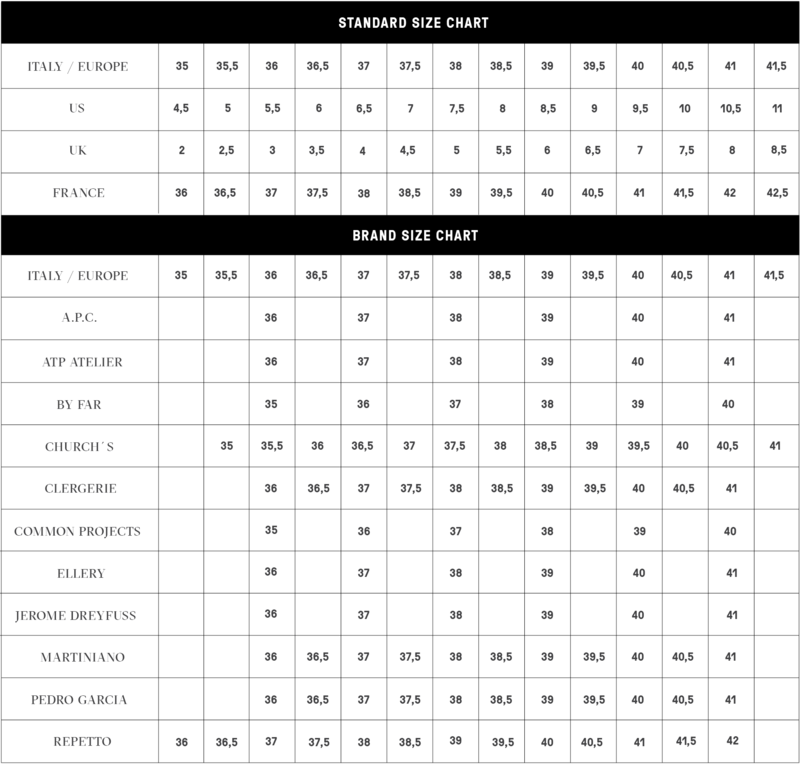 The materials are sourced with patiense to quarantee the best quality. The design in these high block heel pumps is truly minimalistic leaving space for the elegant shape of the last. 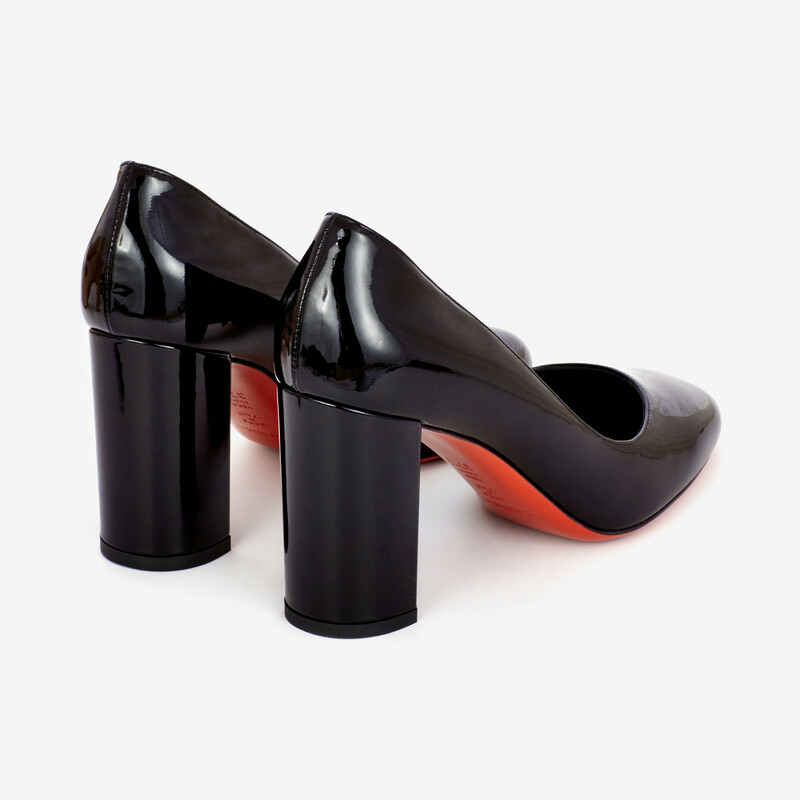 The red sole adds just right amount of contrast to the otherwise restrained design. Toe is low and round shaped. Runs slightly big in size, take a half size smaller than normal.. Read more.. The design in these high block heel pumps is truly minimalistic leaving space for the elegant shape of the last. The red sole adds just right amount of contrast to the otherwise restrained design. Toe is low and round shaped. Runs slightly big in size, take a half size smaller than normal. 1 x Black High Block Heel Pump was added to your shopping bag. 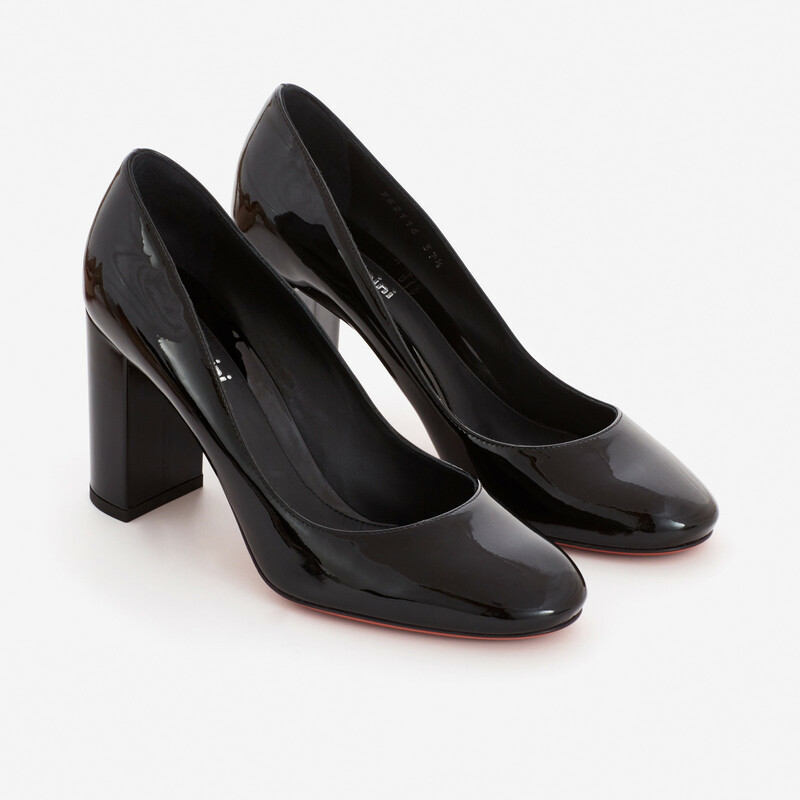 1 x Black High Block Heel Pump was added to your wishlist.